I can quit at any time!!!! In my defense, there is space behind the yarn. 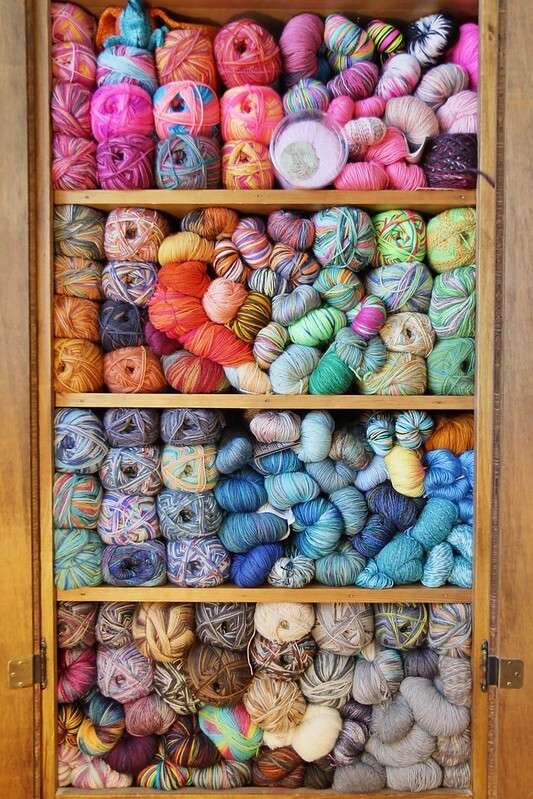 Some shelves have a few yarn cakes behind the main row, but most of the space behind the yarn is empty. It's not a huge space, but enought to fit a decent bit of more yarn if I didn't mind not being able to see it all. That being said, yeah, it is pretty packed top to bottom!